How much does it cost to discuss your refinishing project with Arlington Porcelain Refinishing? Our consultation is always free and we’d love to discuss your refinishing requirements with you. Do I have a choice of colors when refinishing my tub tile? Our Freedom Finishes enamels come in virtually any color. Our skilled craftsman will work with you determine the perfect coating colors for your project. How long does it take to refinish a tub? On average, a refinishing project takes between 3-6 hours to complete, but time to complete depends on the condition of tub, tile and scope of the project. How much time is needed after the technician completes his work before I can use my refinished bath? The tub newly refinished bathtub requires five days to fully cure before you can the bath. APR’s exclusive Freedom Finishes enamels are scientifically formulated to deliver exceptional durability and longevity. Our five-day cure process enables the multiple layers of enamel to completely harden. We consistently repair and refinish many baths from customers who previously choose refinishers that used fast cure refinishing products with a shorter cure times such as 8, 24, 48 hours. We regularly find short cure enamels to have significantly reduced life spans and higher failure rates. We can confidently say that the short term investment in a longer cure time will provide you with a finish that will last and you will enjoy for many years. When should I take the protective paper and tape off my refinished tub? Home owners can carefully remove the remaining protective paper and masking tape between 24 and 48 hours after refinishing. Who will replace my bathtub hardware and calk my bath? 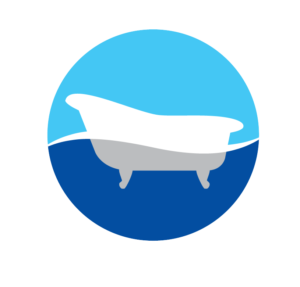 Your service technician will provide you with instructions on how to replace your bathtub hardware and caulk. Most customers will complete this themselves however, for a nominal service fee, APR will make a return visit to replace the hardware and calk. When should I replace my bathtub hardware and calk my bath? The bath hardware can be replaced and calking can be done on the fourth day after refinishing. When can I use water on my tub? Water must not be used on the tub until the 5th day. Does Arlington Porcelain Refinishing offer a non-skid surface? Yes, APR does have non-skid surfaces available. We’re happy discuss options during your consultation. Does Arlington Porcelain Refinishing service come with a guarantee? With proper care, our process is proven and our Freedom Finishes are designed to last. We stand behind our craftsmanship and enamels and in the rare instance that a defect should occur, we offer (6) six-year product guarantee from the date of the original refinishing. For spot repairs we offer a (1) one-year guarantee on all jobs. Spot repairs typically include bathroom sinks and appliances. We will inspect and identify if there was a defect in materials or workmanship during the six-year guarantee period. If defect is confirmed the item will be repaired at no-charge. This guarantee covers conditions such as: cracking, peeling or sagging of refinished surfaces. No claims for damage resulting in chipped, scratched, water damage (I.e. faucet and handle leakage), worn or stained surfaces can be honored. Can tub and tile refinishing be good for the environment? Arlington Tub and Tile is committed to preserving the environment and we consider ourselves a very environmentally friendly company. 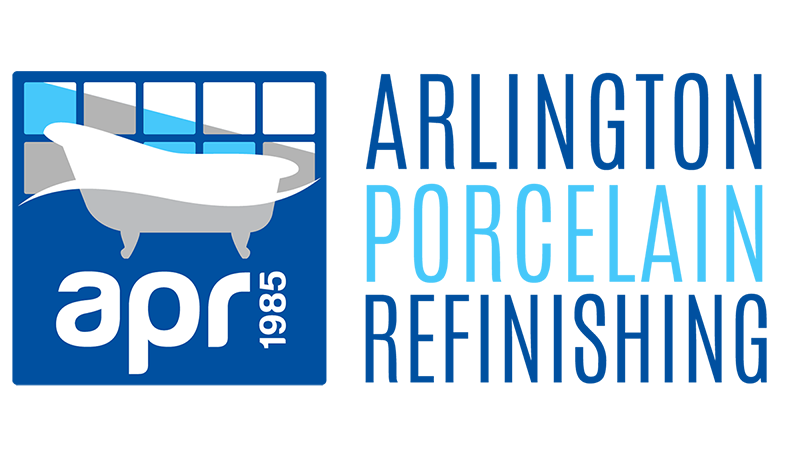 We advocate refinishing your bath tub and tile as it is an alternative replacing and discarding your old tub and tile. Together we can work to keep building materials out of landfills and preserve our environment. Following the application, a chemical reaction with the original surface takes place. The two become fused during the next ninety days. Clean your newly refinished surfaces in the same manner as the originals. The bathtub should be cleaned and rinsed on a regular basis with products such as Lysol Tub & Tile Cleaner, Dow Scrubbing Bubbles, Scratch Guard or Mr. Clean Bathroom Cleaner. Harsh abrasive cleansers are unnecessary and can eventually ruin the finish. DO NOT USE COMET OR KITCHEN CLEANSERS OR AN ABRASIVE SPONGE. However, any chemicals you choose for cleaning must be tested in an inconspicuous area of the bathtub before general use. After the use of all chemicals thoroughly rinse with water. Do not allow anything to strike the surface. Water should not be allowed to drip from faucets. Such undo pressure can cause the finish to crack and wear prematurely. Bathmats can be used but must be removed immediately following use. Iron and limestone in some water leave behind mineral stains which can be removed by the cautious use of mild acid solution, such as a toilet bowl cleaner. Thoroughly rinse with water. Dulling film from soap buildup may cause the surface to lose its glossy finish. Removal of film may be accomplished by the following method: a. Clean and polish the dulled surface by rubbing briskly with a damp cloth heavily saturated with an automotive polish, and/or a heavy paste made from Bon Ami powder. b. Rinse thoroughly with water, repeat step (a) if necessary. The Non-Skid integral safety surface is a slip-resistant aid while showering. Keep in mind that water and soap on any surface will contribute to and will increase the possibility of slipping. The Non-Skid can be cleaned with a laundry detergent, either liquid or granular. An abrasive can be used only on the Non-Skid surface.